Barbara J. Stephenson et al. : Is This Patient Taking the Treatment as Prescribed? JAMA & ARCHIVES JOURNALS, Chapter 15, p173-182, McGrawHill Medical. Gradual Electronic Health Record Implementation: New Insights on Physician and Patient Adaptation. Ann of Fam Med ;2010;8:316-326. 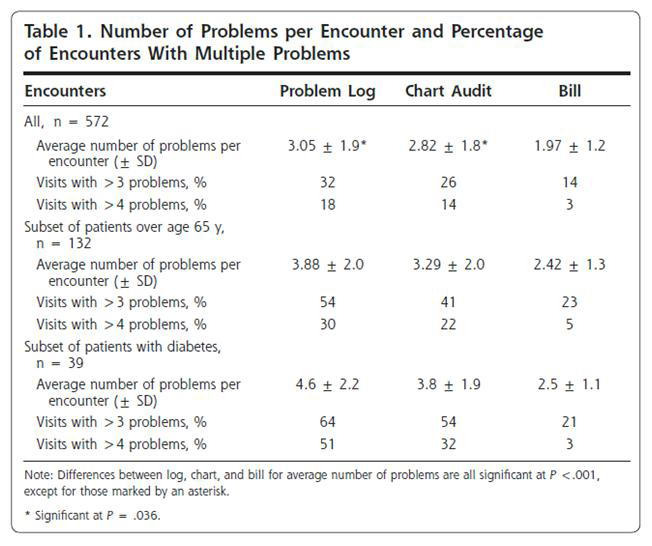 John W.Beasley MD,et.al: How Many Problems Do Family Physicians Manage at Each Encounter? A WReN Study .Ann Fam Med. 2004 Sep-Oct;2(5):405-10. Wong E, Stewart M. Predicting the scope of practice of family physicians. CAN FAM Physician 2010:56:e219-24.